UPDATE: This giveaway has ended. Congratulations to Carolyn Stamper for winning the 4 tickets! Whether we like it or not, Terri and I are quickly approaching that dreaded rite of passage we call menopause. Mood swings, weight gain, and hot flashes! Wait, don’t I already have all of that? Ah, how fun it is to be a woman. But at least we can commiserate together and enjoy some humor about a topic that can be a serious intrusion into our midlife years. 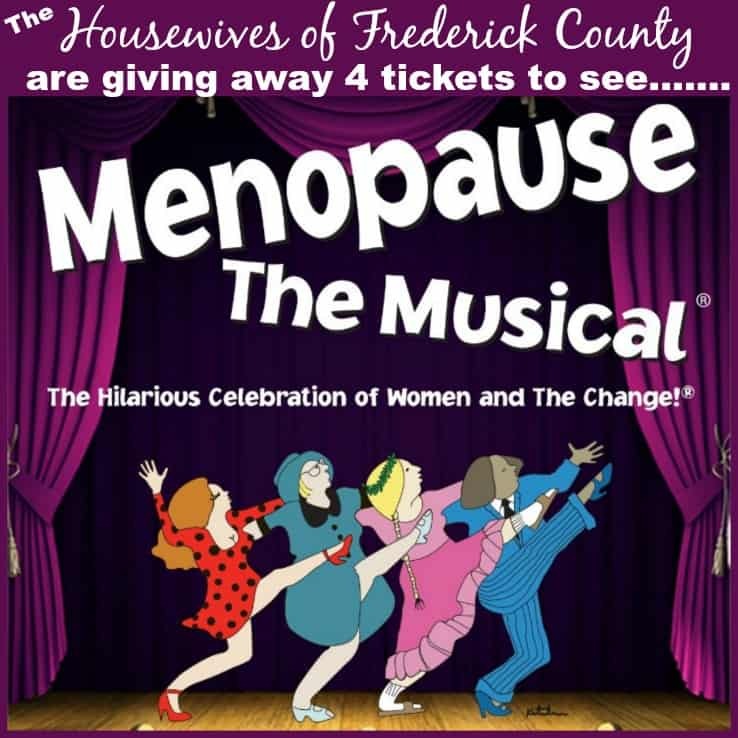 Menopause the Musical is coming to Frederick and the Housewives of Frederick County are giving away 4 tickets to a lucky winner! NATIONAL TOUR OF MENOPAUSE THE MUSICAL® PLAYS FREDERICK, MD. At the Weinberg Center for the Arts for two shows only Saturday, February 7, 2015! Great for a girls’ night out! Tickets On Sale Now! FREDERICK, MD. – GFour Productions, winners of 54 Drama Desk and 44 Tony Awards are proudly bringing the international hit show Menopause The Musical® to Frederick, Md., and will play the Weinberg Center for the Arts (20 West Patrick St.) for two shows only. Tickets are on sale now for performances on Saturday, February 7 at 3 p.m. and 8 p.m. and are available at the Weinberg Center for the Arts box office, weinbergcenter.org, or by calling 301-600-2828. Groups of 8 or more can save $10 when mentioning the code GROUP, available through the box office only. Menopause The Musical® is a groundbreaking celebration of women who are on the brink of, in the middle of, or have survived “The Change.” Now celebrating 13 years of female empowerment through hilarious musical comedy, Menopause The Musical® has evolved as a “grassroots” movement of women who deal with life adjustments after 40 by embracing each other and the road ahead. Menopause The Musical®, now in its thirteenth year of production, is recognized as the longest-running scripted production in Las Vegas and continues to entertain nightly at Luxor Hotel and Casino. The hilarious musical has entertained audiences across the country in more than 450 U.S. cities, nearly 300 international cities and a total of 15 countries. For more information, visit www.MenopauseTheMusical.com. GFOUR PRODUCTIONS (Producer) GFour Productions recent successes include winning the 2013 Tony Award® for their 50th anniversary production of Edward Albee’s WHO’S AFRAID OF VIRGINIA WOOLF; Co-financing the 5 time Tony Award®, 5 time Drama Desk Award®, and 7 time Olivier Award® Winner for Best Musical, MATILDA THE MUSICAL; Co-Producing the critically acclaimed revival of THE GLASS MENAGERIE starring Cherry Jones and Zachary Quinto, which The New York Times called “Glorious and Gorgeous!”; launching their 40 week tour of the Tony Award® winning musical, THE GERSHWIN’S PORGY AND BESS, and recently opening their breathtaking production of LADY DAY AT EMERSON’S BAR AND GRILL starring 5 time Tony Award® winner, Audra McDonald, as the unforgettable Billie Holiday. Their critically acclaimed follow up to MENOPAUSE THE MUSICAL®, MOTHERHOOD THE MUSICAL, has recently entertained audiences in Fort Lauderdale, Tampa, Atlanta, Dallas-Ft. Worth, and Philadelphia and is currently playing a 65-city Australian tour. 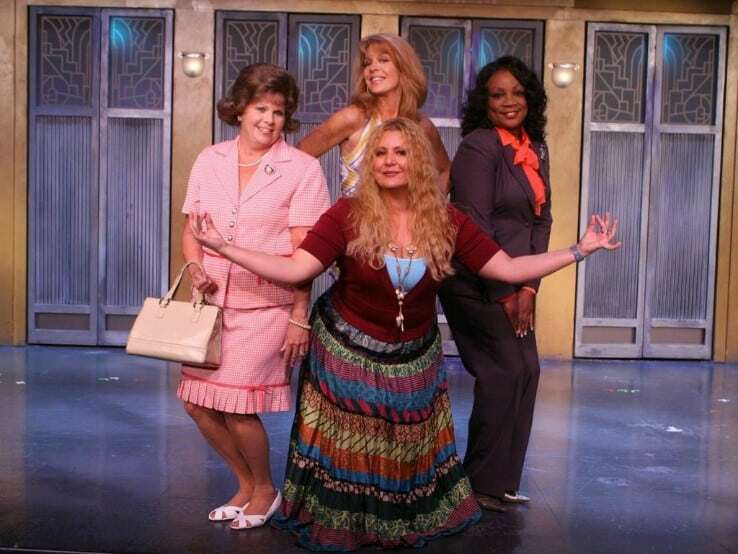 GFour recently premièred the Spanish-language version of their international hit, MENOPAUSIA EL MUSICAL, in Hollywood, CA. They began producing in 1981 with NINE, winning the Tony Award® that year for Best Musical. Among their favorite Broadway productions are MY ONE AND ONLY starring Tommy Tune, ZORBA THE GREEK starring Anthony Quinn, THE RINK starring Liza Minnelli, BABY, GRAND HOTEL, GRIND, BIG, TRUE WEST, the original and the revival of LA CAGE AUX FOLLES which won them Tony Awards for Best Musical in 1983 and Best Revival in 2004. Their combined shows have been nominated for 115 Tony Awards®, winning 44 and 110 Drama Desk Awards®, winning 56. For more information, please visit GFourProductions.com. Groups of 8 or more: Save $10 when you mention code GROUP – available through box office only! 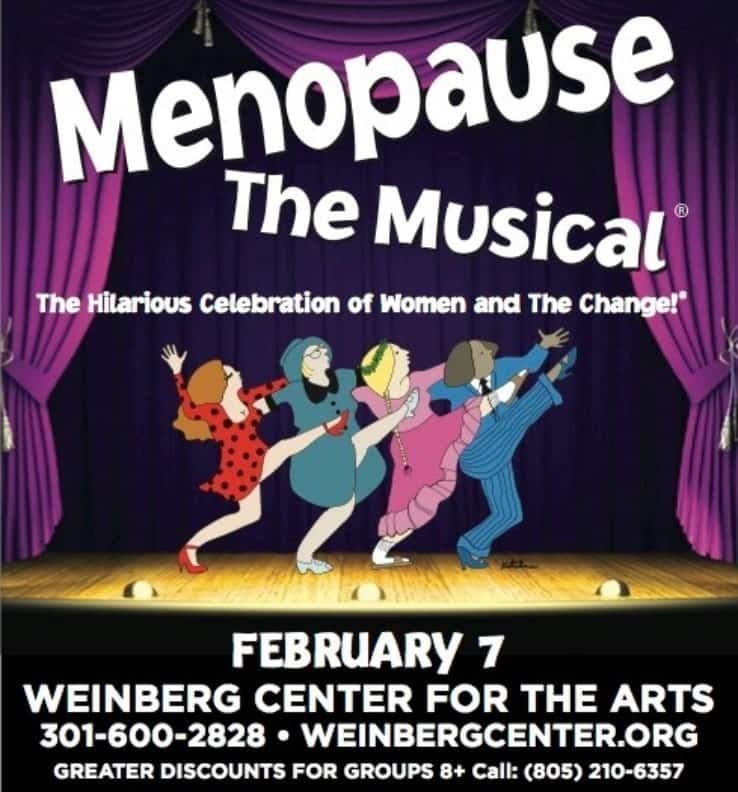 We’re giving away a 4-pack of tickets to see the 8pm performance of Menopause the Musical at the Weinberg Center for the Arts in Frederick on Saturday, February 7, 2015! This is a $188.00 value! The entries will start on Tuesday, January 20, 2015 at 12 am and will end Tuesday, January 27, 2015 at 12 am. The winner will be announced on Tuesday, January 27, 2015. It’s so easy! Watch this 52 second video. Click on the below Rafflecopter link to ENTER! You have the option to submit up to 7 entries per person through Rafflecopter. The winner will be randomly chosen. How will the winner claim their 4-pack of tickets? The winner can pick up their tickets at Will Call at the Weinberg Center. How long does the winner have to contact the Housewives of Frederick County that they will take the tickets? The winner will have until Wednesday, January 28, 2015 to confirm that they will indeed take the 4-pack of tickets. If we do not receive a response from the winner by 1/28/15, the tickets will be awarded to another randomly chosen winner. Each person has up to 7 ways of entering. Because we want to be fair to those who have genuinely followed the instructions in submitting their entries, we will be checking to ensure that the entries were submitted honestly before announcing our winner. Best of luck! And may the best woman win! My mom and sister are coming to visit us for the weekend from MA and this would be an awesome way to spend a girls night out on the town!  Thank you for the chance ladies, you rock! Would love to see this. I just turned 50!! 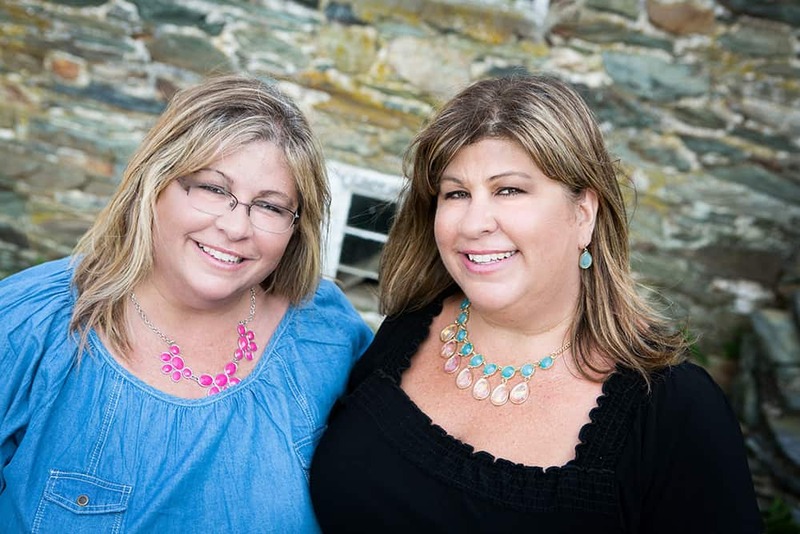 Just moved to Frederick Co 2 months ago & have found the Housewives of Frederick Co blog to be a fantastic source of info! Kudos! Would love to win the tickets and treat some very welcoming local Moms I’ve met to a fun night out! My fingers are crossed!!! Thank you so much Michelle! Best of luck to you! My 40th birthday is on the 28th and I need some comedic relief to get me thru! Would love a night out with my sisters as they have been a big help going through this time of life!!! I would love to win these tickets so I can get out with some friends and laugh it up!! Much needed fun girls night out! Don’t you think girls!!??! !